The fan-led movement to draft Chance into running for office got a high profile endorsement. 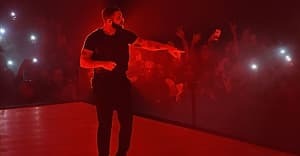 TMZ's cameras caught Drake in L.A. and asked him about a campaign started by fans to convince Chance The Rapper to run for Mayor of Chicago. When asked if he thought Chance was fit for the job, Drake responded "Yeah, I do," before getting into a limo. Chance noticed the endorsement today and thanked Drake on Twitter. The Chano4Mayor2k19 campaign has a very nice website dedicated to the cause. The site makes its case in the form of an open letter addressed to Chance. "You’re already making change in our city: your work supplying coats for people experiencing homelessness, your long-running Open Mike for high school students, and your million dollar donation to CPS all demonstrate a commitment to empowering Chicago’s marginalized populations."